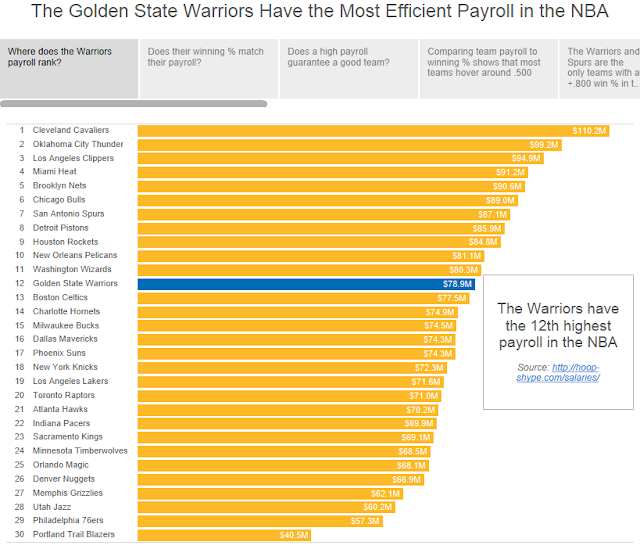 First let me start by saying that this post is an update to a previous post I had written in which I indicated that Brian Windhorst of ESPN didn’t have his facts straight about the Warriors payroll. Indeed he was correct. My apologies to Brian and my thanks to reader Trevor who pointed out that the data I had used was from 2013 and that the 2015 data matches Brian’s statement. With that being said, I decided to re-work the story and elaborate on Brian’s point. In this story, I walk through an analysis of NBA payrolls versus winning percentage.